Contact angle measurement is used for the evaluation of the wettability of liquids to solid surfaces as a combination. Liquids with larger contact angles correspond to less wetting, while smaller means more wetting to solids. For example, the contact angle of water and clean glass surface is close to zero, but in contrast, it reaches up to about 110° for water- and paraffin-treated glass surface. 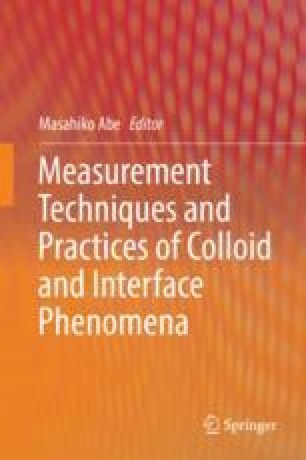 This chapter deals with the measurement of contact angles to evaluate the wettability of water on solid surfaces.